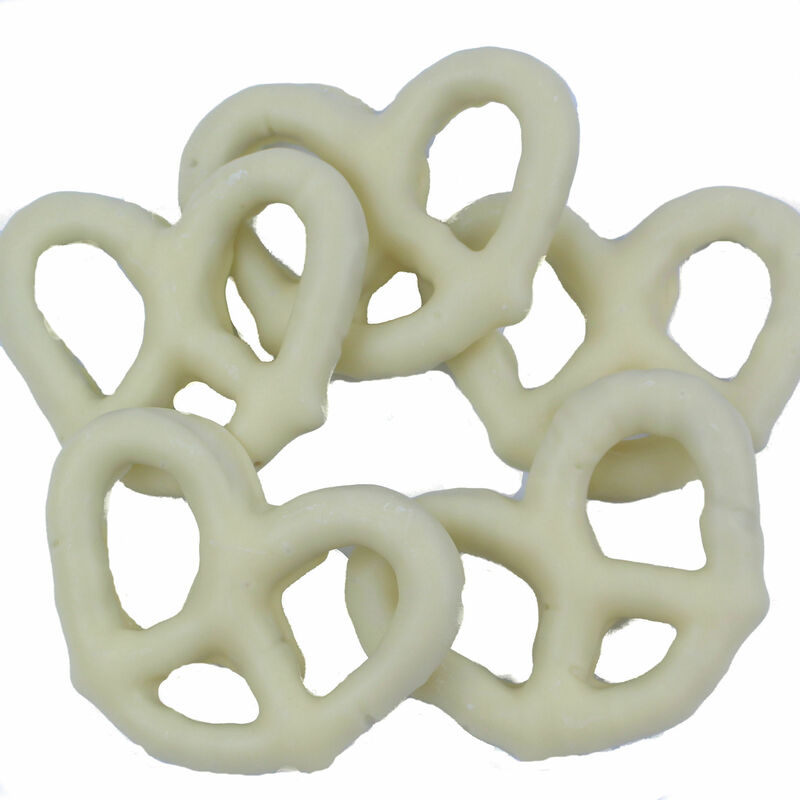 Crisp, crunchy pretzels drenched in rich white chocolate. The perfect blend of salty and sweet, these pretzels make the perfect snack anytime. Our pretzels measure about 3 inches by 2.5 inches. White Coating [Sugar, Palm Kernel Oil, Sweet Dairy Whey (milk), Lactose (milk), Milk Fat, Non-Fat Milk, Buttermilk, Sodium Caseinate (milk), Soy Lecithin, Hydrogenated Palm Oil and Artificial Flavors] and Pretzels (Wheat Flour, Salt, Corn Oil, Malt Syrup, Sugar, Yeast and Soda). May contain Wheat, Milk, Peanuts, Tree Nuts, Soybeans and/or Eggs.